View a personal conference invitation from Jim Harris. In this fun, dynamic, interactive and provocative keynote Jim Harris, one of North America's foremost thought leaders, management consultants and authors on disruptive innovation, will help us understand the level of disruption and share practical, proven strategies for innovating and succeeding in this era of rapid change. In this fun, dynamic, interactive and provocative keynote Jim Harris, one of North America’s foremost thought leaders, management consultants and authors on disruptive innovation, will help us understand the level of disruption era of rapid change. To Learn more about Jim, visit his website. 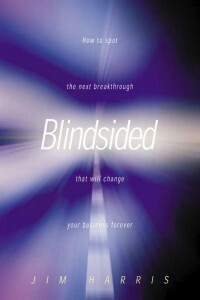 Read about Jim's books, including Blindsided! – his #1 international bestseller. View a personal conference invitation from Hugues Gibeault. Organizations understand that the foundation to sales and service performance consists of a disciplined, consistent application of strong fundamentals, and an intense focus on the client's agenda. Hugues ("Hugh") Gibeault is the Chairman and co-founder of Optimé International. Under his leadership, Optimé has helped clients achieve consistently superior performance and business results, along with industry-leading levels of employee engagement. Learn more about Hugues and Optimé International here. View a personal conference invitation from Jill Hewlett. 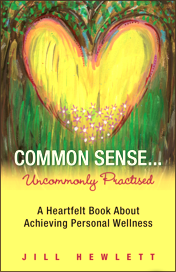 Outsmart daily life and workplace challenges by building mindfulness muscles and creating your Fit Brain! Your brain is the most powerful technology on the planet. Are you maximizing its potential so you can thrive and be your best in today’s world? A Fit Brain is imperative to your mental health, well being and success. Impactful and refreshingly unique, Jill Hewlett will show you how to develop mindfulness skills and optimize your brain power with practical tools and strategies that can be implemented immediately in daily life and workplace scenarios to keep you relaxed, energized, focused and achieving greater results. To Learn more about Jill, visit her website.